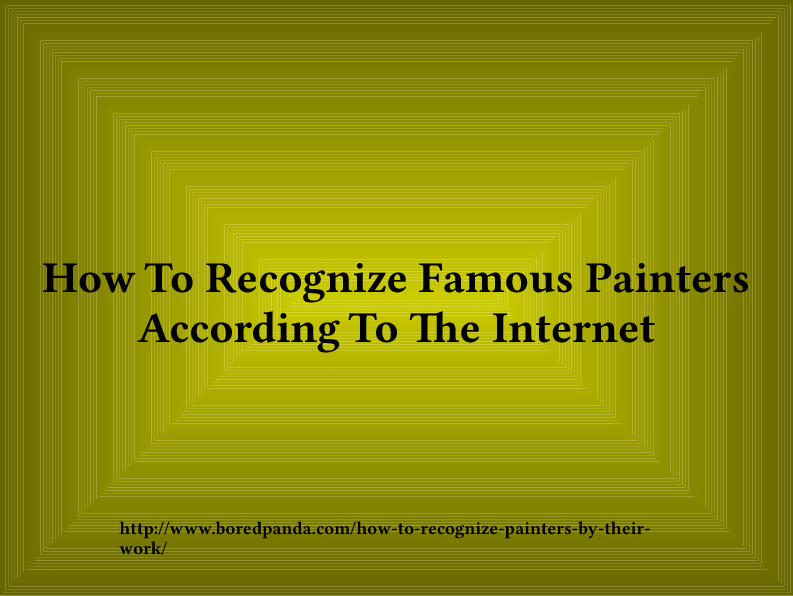 This Powerpoint presentation is adapted from the Internet and the reference URL is noted on the title page. I just adapted it for PPT use. 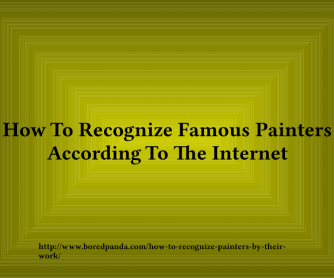 The presentation consists of a famous painting with a description of how this specific artist paints but with the name of the artist appearing only after you click forward. The students enjoyed this immensely and found it to be quite helpful.